Exceptional, all-day comfort for your astigmatic patients. Proclear toric lenses provide your astigmatic patients with exceptional comfortable - all day long. It's all down to PC Technology, which is within the Proclear toric lens. PC stands for phosphorylcholine, which contains molecules that are hydrophilic and biocompatible with the human body. Thanks to PC Technology, Proclear toric will hold water for longer periods of time and have less surface evaporation. PC Technology also attracts and binds water to the lens surface - and a shield is created that keeps the lenses clean and functioning properly. It all means that Proclear toric remains hydrated, which helps them feel moist and comfortable all day long. 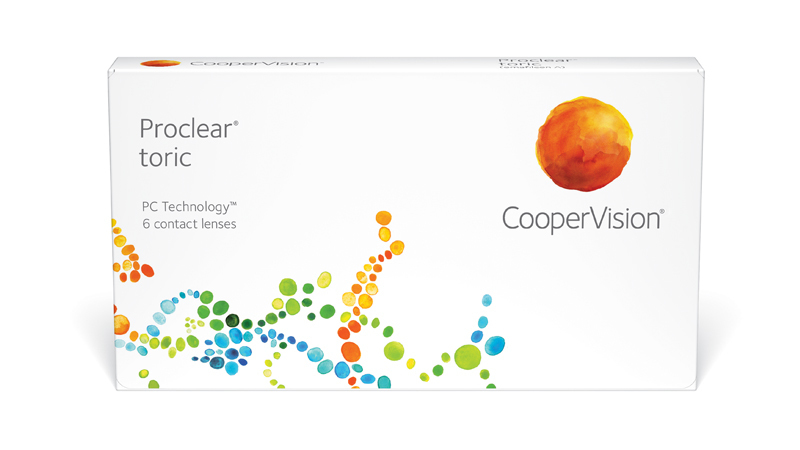 Proclear toric lenses* have an FDA clearance for the claim: "may provide improved comfort for contact lens wearers who experience mild discomfort or symptoms relating to dryness during lens wear." If your patients require a higher range of powers, they can still enjoy the benefits of Proclear toric with our Proclear toric XR contact lenses - with sphere powers up to ±10.00 and cylinder powers up to -5.75.